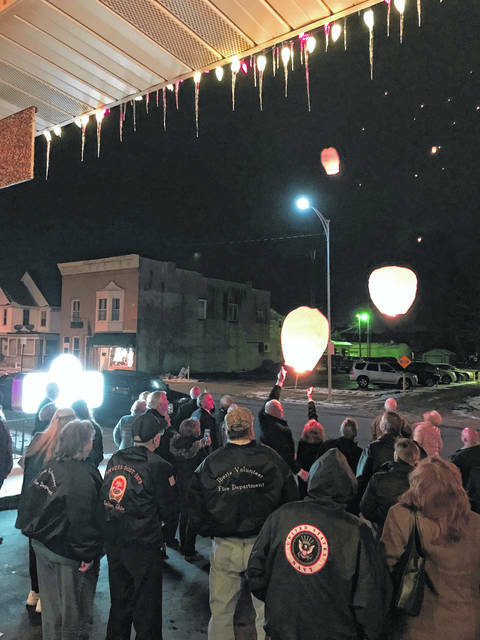 GALION — The Christmas season presents unique challenges for people who recently lost a loved one to death. As one of the many “firsts” that families face, the holiday season comes with challenges. In response, the directors and staff of Snyder Funeral Home Richardson Davis Chapel, 218 South Market Street, recently held their annual Celebration of Remembrance. The ceremony presented options to develop new traditions and was full of suggestions to ensure that this holiday time – through different — can still be good. The evening included special music, a candle-lighting ceremony, and a meditation on the importance of memories by Pastor Joe Stafford. The highlight of the evening was when all those in attendance helped launch dozens of oversized sky lanterns in memory of their loved ones with messages of love, loss, and holiday wishes written on them. A light wind carried the lanterns heavenward, to the East, over the city of Galion, and remained visible for miles. Following the launch, refreshments and fellowship assured those present, they were not alone in their feelings. 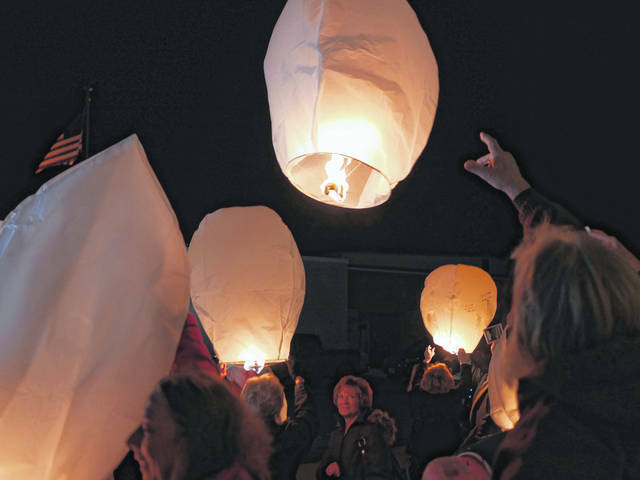 The entire staff of Snyder Funeral Home Richardson Davis Chapel reassured the families that their Christmas season will be blessed and sent them home with the gift of a sky lantern, in order to launch one again with family during Christmas week. Snyder Funeral Home Richardson Davis Chapel is located on South Market Street and is Galion’s full-service professional funeral home with its own cremation operations, full-time cremation specialists, media department, aftercare and advance planning specialists. The annual Celebration of Remembrance is indicative of their dedication to their investment in the Galion community.